There are many ways to avoid the ban on alcohol advertising. 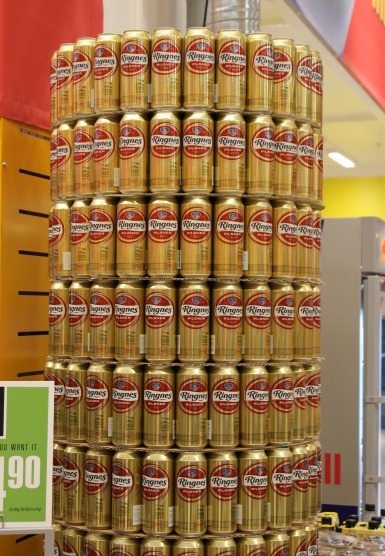 This beer can tower is strategically placed in a Norwegian supermarket. If you travel to Norway and order a bottle of Budweiser in a bar, be prepared to pay almost 16 dollars. A glass of wine costs about the same. The high price level is a consequence of the fact that Norway has one of Europe’s strictest alcohol policies. At the same time, the alcohol intake has increased dramatically. In 1975, The Norwegian Parliament introduced an advertising ban on alcoholic beverages. This prohibition comes in addition to a number of other measures to reduce and control the Norwegians’ alcohol consumption: High state taxes, beverages with a higher alcohol content than 4.7 percent by volume must be sold through stately controlled liquor stores, time restrictions on sale in stores and strict regulations for bar and restaurants. Meanwhile, figures from the National Institute for Alcohol Research (SIRUS) show that Norwegians’ alcohol consumption never has been higher. In 1970, each Norwegian drank an average of 3.60 liters of pure alcohol per year, while the figures had risen to 5.20 liters in 2010. Additional consumption comes from home production, holidays abroad and tourist imports. The extremely high prices have also led to that smuggling has become a very lucrative business. The consumption must therefore be assumed to be far higher than 5.20 liters. Italy is one of the European countries that have managed to reduce their alcohol consumption: from 16.0 liters in 1970 to 6.80 liters in 2010 – despite a liberal alcohol policy. Italian authorities, however, has spent considerable resources on campaigns to focus on the harmful effects of alcohol. On March 8th 2012 (International Women’s Day), the Italian Society of Gynecology and Obstetrics the Industrial Association of Beer and Malt, with the support of the Italian Ministry of Health, launched a three week alcohol and pregnancy campaign. The campaign also had the support of over 35 celebrities, including actresses, journalists, TV hosts, bloggers, and chefs. Each of the celebrities has written personal messages about the campaign and issue on their blogs and Facebook wall or created an exclusive video message. 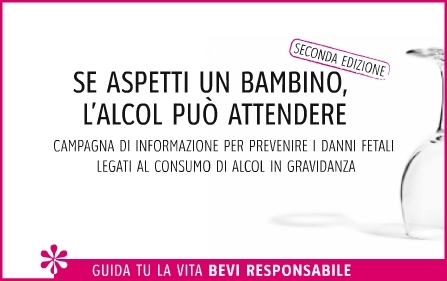 Alcohol and Pregnancy Campaign from Italy: “If you are pregnant alcohol can wait”. Critics of Norwegian alcohol policy argue that it is a total failure and that the government uses it as an excuse to create big revenues – and that Norwegian health authorities must invest far more on health information and awareness campaigns. 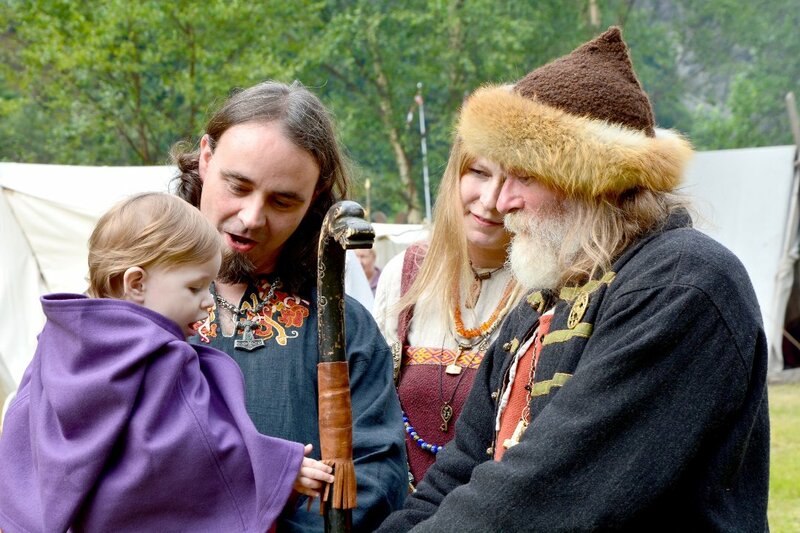 ‹ Where are the Great Viking Kings Buried? Sounds like Prohibition here in the US in the 1930s. The more something is forbidden, the more people will want it. That’s when you end up with bathtub gin, and moonshine. It’s giving me a great idea for a story, though 😉 $16 for a Bud is just hilarious.